The Brandon Artists Guild (the BAG) proudly announces its annual show of new artwork by local students from grades K to 12. The opening reception is Friday, February 2, from 5-7pm. The show runs through February 27. This celebration of creativity from our schools gives students an exciting opportunity to have their work displayed in a professional gallery setting. The exhibit provides the public a rare chance to see talented student work in a wide variety of styles and media, including sculpture, collage, and paint. 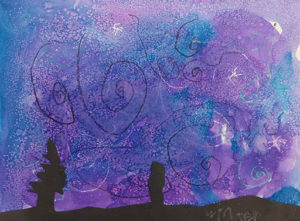 The show includes work from students at Barstow Memorial, Leicester Central, Lothrop Elementary, Neshobe Elementary, Otter Valley Union, Sudbury Country, and Whiting Elementary schools. The Brandon Artists Guild is a cooperative with approximately 50 artist-members. A 501(c)3 nonprofit cultural organization, the BAG supports the visual arts through exhibitions, lectures, demonstrations and educational programs, particularly in local schools and after-school programs. The BAG is a participant in Vermont Arts 2018. A project of the Vermont Arts Council, Vermont Arts 2018 is a year-long celebration highlighting arts events across the state. 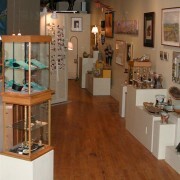 The BAG, at 7 Center Street in Brandon, is open Tuesdays through Saturdays from 10AM to 5PM, Sundays from 10AM to 4PM. Information: 802 247-4956. www.BrandonArtistsGuild.org.